Large dollar coins have never been overly successful in the United States. 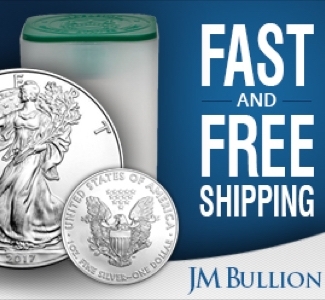 Early silver dollars didn’t circulate widely in the US, and even Morgan and Peace dollars sat in vaults. 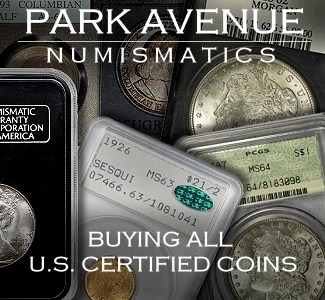 The public preferred to carry lighter, more convenient silver certificates more than large coins, so most of the coins themselves stayed out of circulation. Eisenhower dollars were mostly rejected for their large size, and without silver content, any appeal of a large dollar coin was lost. 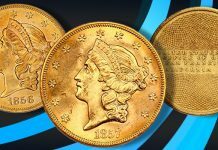 The Susan B. Anthony dollar was supposed to be the Goldilocks solution – just the right size, just the right design – to finally get a dollar coin to circulate in the US. But we all know how that turned out… right? In May of 1975, the government took the first true step towards issuing a small dollar coin. They paid Research Triangle Institute, a nonprofit research company in North Carolina, $100,000 to investigate what kind of dollar coin would gain public acceptance. Even before Triangle gave their recommendation, it was clear that the government was thinking of a smaller coin. They published a report entitled “A New Small Dollar Coin – Technical Considerations” in 1976. Shortly after, Triangle suggested that a new dollar coin include four key components: It should be smaller, a different color than the quarter, have a distinctive edge, and be released with a major marketing campaign. Triangle’s size recommendation was followed, but nothing else – no different composition, no unique edge, no huge campaign. Frank Gasparro, Chief Engraver of the US Mint, was responsible for designing the new dollars. He had previously designed the Lincoln memorial cent reverse, the Kennedy half reverse, and the Eisenhower dollar. 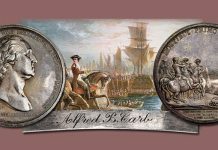 The Treasury originally wanted the new coin to feature Lady Liberty, hearkening back to classic coins of early America. 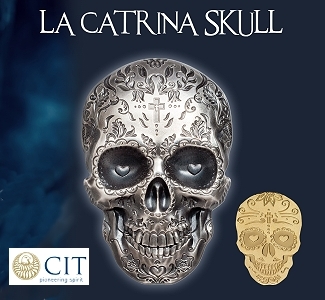 Gasparro began this design in 1976, choosing to include a Phrygian cap with Lady Liberty on the obverse, making it remarkably similar to the Liberty cap designs of the late 1700s. On the reverse he depicted an eagle, flying over a mountain with rays of sunlight in the background. However, when the Treasury announced their plans for the new coin, women’s organizations began to push for it to feature a real woman. There had never been a real woman on any of our nation’s circulating coinage, and they believed that depicting an allegorical woman was the equivalent of saying that no real woman deserved to be on our coins. 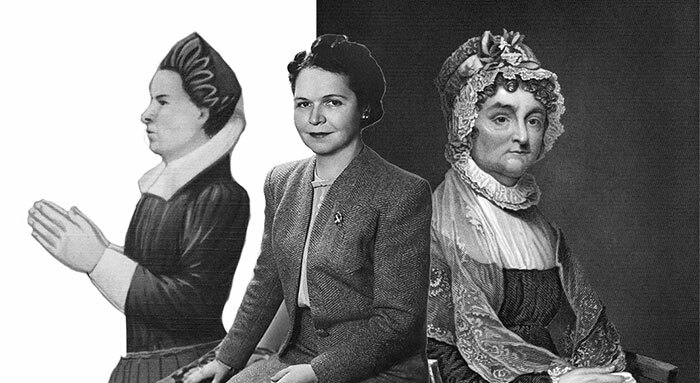 Left: Elizabeth Pole, Center: Georgia Neese Clarke Gray, Right: Abigail Adams. 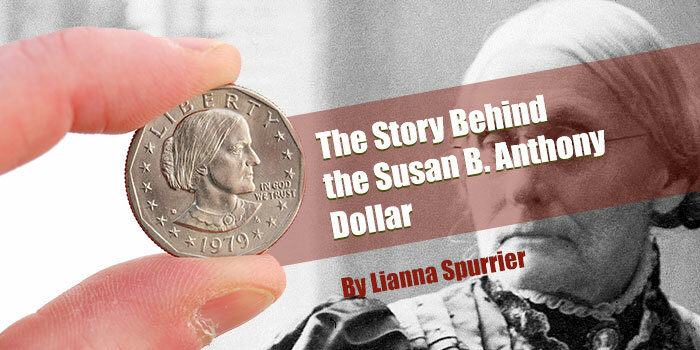 On May 3, 1978, William Proxmire suggested to the Senate that Susan B. Anthony should be featured on the coin. Some called for it to feature both Anthony and Harriet Tubman, while others called for Georgia Neese Clarke Gray, Abigail Adams, or Elizabeth Pole instead. The frontrunner, however, was Anthony. Susan B. Anthony, born in 1820, was a champion of equal rights throughout her entire life. She combatted slavery as a young adult, but she is mainly known for her work in the women’s suffrage movement. She played a big role in the passage of the Nineteenth Amendment, which gave women the right to vote. While who should be on the new coin was still in debate, Gasparro began working on a new design in June of 1978 featuring Susan B. Anthony. She died three years before Gasparro was born, so he had to rely on photographs for his design. And while there’s some disagreement about exactly how many photographs he found and where he got them, sources agree that he only had somewhere between two and six photos to work from. He started with a design based on a picture of Anthony around age 28. There’s also debate about precisely who he showed this initial design to. Some sources claim he showed it to a relative of Anthony’s, a niece or nephew; others say he brought it to larger groups, including feminist organizations, a fine arts commission, or the Treasury Department itself. Regardless of who saw it, the reaction was clear: “That’s not her.” They believed Gasparro had made her too pretty, and he went back to the drawing board. He tried to approximate Anthony in middle age, creating a much sterner portrait that he believed would be rejected immediately. In the meantime, the bill calling for the new dollar to feature Anthony passed in both the House and Senate. Along the way, it was also determined that the reverse would feature approximately the same design as the Eisenhower dollars – an interpretation of the Apollo 11 mission insignia. Eisenhower was president in 1958 when NASA was established, which drew a connection between the two sides of the coins. Anthony, however, had nothing to do with NASA or Apollo 11. Regardless, Gasparro submitted his design, including the stern portrait, the same day that the bill passed in the House. Contrary to Gasparro’s expectations, it was accepted. On October 10, 1978, President Jimmy Carter signed the bill into law, and it was time for production to begin. 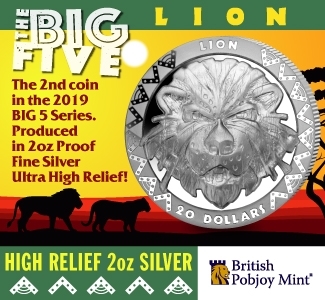 Research Triangle Institute recommended a large marketing campaign to ensure that the public was aware of the new dollar coins. The Treasury Department did launch a marketing campaign, but it wasn’t on the scale suggested by Triangle. 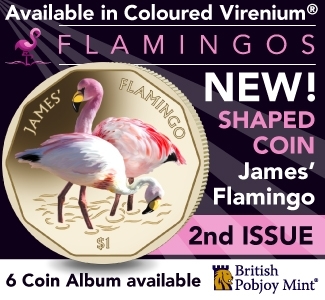 Overall, about $600,000 was spent on promoting the new coins. For comparison, the release of Sacagawea dollars in 2000 was accompanied by a campaign costing $40 million; adjusting for inflation, this would have been the equivalent of $16.8 million in 1979. One thing the Treasury did was distribute folders to banks and retail institutions, describing the advantages of the “Dollar of the Future” and suggesting ways that they could help promote them. Included in the folders was a page listing all of the different ways that the new dollars were expected to be “Quick & Easy”: “Easy to see the unique 11-sided inner border… Easy to distinguish by size… Easy to carry with other coins… Easy to insert [in vending machines]…” The list goes on. To help retailers, the folders also included suggestions for reorganizing cash registers, how to use them in making change, promotional ideas, and even sample comics to reprint in ads. It’s clear that the government had high hopes for the Susan B. Anthony dollar, and for good reason – it was an opportunity to save them a lot of money. Due to the smaller size, the new dollar coin cost three cents to produce, compared to eight cents for an Eisenhower dollar. In addition, they were expected to last 15-18 years in circulation, while a dollar bill only lasted about 18 months. 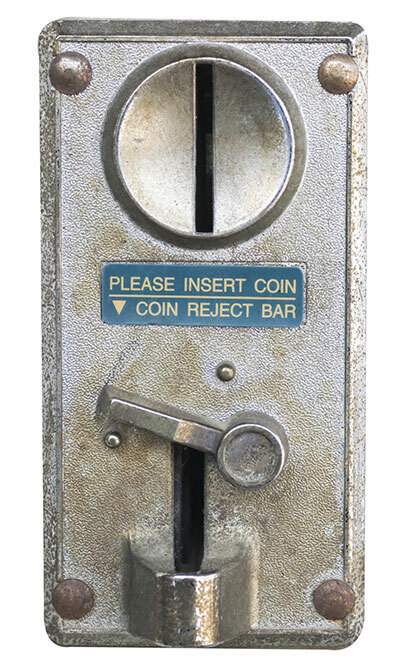 Finally, if the coins could replace the need for so many new dollar bills, a $100 million extension to the Bureau of Engraving plant could be delayed. Even vending machine companies seemed to have high expectations for the new coins, as they spent an average of $100-$500 per machine, retrofitting them to accept the Susan B. Anthony coins. The manufacture of these new parts began in 1977 before the legislation had even been passed. 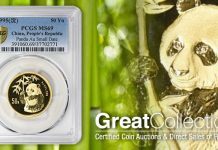 Expecting heavy demand, the Mint stockpiled 500 million coins between the three branches before the official release. With plenty of pieces ready to circulate, many vending machines ready to accept them, and a famous women’s rights activist on the obverse, the future looked bright for the Susan B. Anthony dollars. On July 2, 1979, they were officially released. At first, things seemed hopeful – banks received many requests for the new coins, and many branches had to order more within a few days. However, a few days is all it took for things to start going downhill. Newspapers began voicing concerns that the new coin would be easily confused for a quarter. 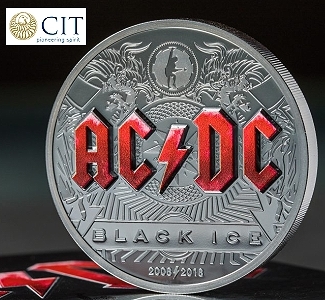 This was expected to be a particular problem for bar owners, who typically work in fast-paced and poorly lit environments, where they don’t have time to scrutinize every coin they receive. It was also pointed out that if the coins successfully replaced $1 bills, businesses’ deposits would be much heavier to transport to the bank. “Cynics that we are, we regard the new Susan B. Anthony dollar as mostly a very clever and whopper-reemus campaign for the Equal Rights movement in this country, a last-try effort with a stacked deck to win what most of the public doesn’t want – a Constitutional amendment in behalf of the ERA cause. All in the name of a respected pioneer crusader for women’s suffrage. It didn’t get any better in the following months. Papers called them a disaster, a dumb concept, and “just short of a national disgrace.” As only a few of the coins made their way into circulation, it seemed that the people who requested them in the first few days intended to keep them as souvenirs, not to spend them. As for being confused with a quarter, they simply didn’t think it would be that big of an issue. There’s the same size difference between a quarter and the small dollar coins as there is between a quarter and a nickel. In addition, all of our bills are the same size, so we’re used to looking at them to determine denomination. Why should be coins be any different? The public simply didn’t share this opinion, and by October of 1979, within just four months of release, the Susan B. Anthony dollars were considered a failure. There were other complaints as well. Some felt the coins were simply feminist propaganda and therefore wanted nothing to do with them, while others just thought they were ugly. 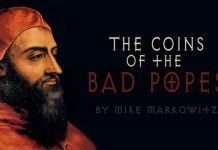 Regarding the widespread rejection of the coins, Gasparro told Bob Greene, “It hurts my feelings,” which was published in the Placerville Mountain Democrat on January 1, 1988. But their story doesn’t end there. By the end of 1979, there was a slight increase in circulation. Atlantic City casinos had many slot machines specifically for Susan B. Anthony dollars, and the number of coins deposited in them increased from about 14 to 15 million between October and November of 1978. Twice as many Eisenhower dollars were spent, but nevertheless, circulation was increasing. More dollar coins were minted for circulation in 1980, though significantly fewer than the previous year – only about 90 million, compared to over 750 million in 1979. The same year, the Mint began investigating ways to “fix” the dollar coin. They discovered a new composition that would make the coins a brassy-yellow color and would still work in vending machines without any further modification. They considered changing the reverse to a large “1” with a laurel leaf behind it, though what impact this would have had on its popularity is unclear. The Treasury Department even suggested phasing out the $1 bill and half dollar coins, essentially forcing the public to use dollar coins and $2 bills instead. However, none of these changes occurred, and dollar coins were only minted for collectors in 1981, after which production ceased. There were still millions of the original mintage sitting in vaults, gathering dust, and it seemed as though they might never see the light of day. But demand picked up. The Baltimore, Maryland Metro Subway opened in 1984 and used dollar coins for ticket purchases, which ultimately became one of the coin’s largest uses. The United States Postal Service installed stamp dispensing machines that took the small dollars, and more vending companies continued to retrofit their machines. By 1999, over 15 million vending and mass transit machines accepted Susan B. Anthony dollars. They still weren’t used much in general circulation, but for those specific purposes, they came in handy. 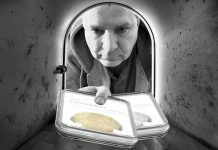 As a result, the millions in storage slowly left the vaults and found their way into consumers’ hands. By mid-1999, the vaults were all but empty. 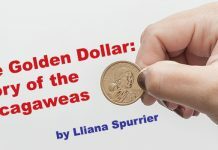 Legislation had already been passed authorizing the Sacagawea dollars to begin production in 2000, but the Treasury needed to bridge the gap. 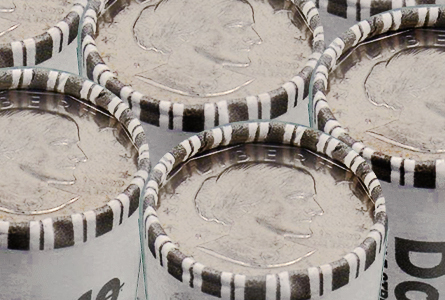 As a result, one final year’s run of Susan B. Anthony dollars was minted in 1999 – 41 million pieces. “Golden” dollars replaced them in 2000, to much fanfare. The Susan B. Anthony dollar is widely considered a flop, perhaps rightfully so. However, it took only 20 years for the original mintage to run out, making it one of the most successful dollar coins in US history. Some Morgan and Peace dollars sat in vaults for close to a century before the supply finally ran out in the 1980s, and Eisenhower dollars were also largely rejected due to their weight. Perhaps it would be more accurate to say that the dollar coin as a whole is a flop, instead of blaming Frank Gasparro and Susan B. Anthony. There was more to the design problem beyond the issues noted in the article. A “we’ve never done it before” attitude at the Mint prevented use of a multi-sided planchet with smooth edges despite the fact that other countries had been minting similar coins for many years. Second, the size-difference analysis was based on absolute differences between the diameters of the nickel, quarter, and SBA dollar, which failed to take into account that the mind perceives _relative_ differences much more readily. Most critically, the RTI analysis reportedly examined the experiences of many other countries with similar-appearing coins but completely overlooked this country’s almost parallel debacle with the 20¢ piece a century earlier. The saddest part of it all is that while Canada learned from our errors with its wildly popular “loonie”, our politicians and officials fixated on the SBA’s failure as “proof” that no $1 coin could ever be successful. And we still spend billions of taxpayer dollars on wasteful $1 bills. We have to pass a bill the replaces $1&$2 dollar bills with dollar coins. Since 2011 we’ve lost over 4 billion dollars in savings by making the switch. This is insanity that the American government doesn’t make such a simple decision.